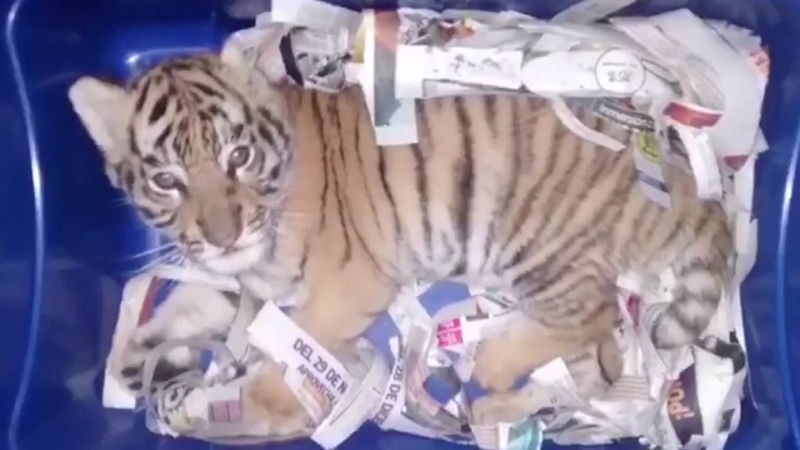 MEXICO (KGO) -- Mexican authorities say they rescued a 2-month-old Bengal tiger cub from a parcel intended for shipping. Officials reportedly heard noises and called in sniffing dogs, who confirmed something was alive inside the box. Authorities say the cub was completely sedated and had no food or water. Bengal tigers are considered endangered. The cub is now in the custody of Mexico's Department of Natural Resources and Environment. Click here for more stories about endangered species.